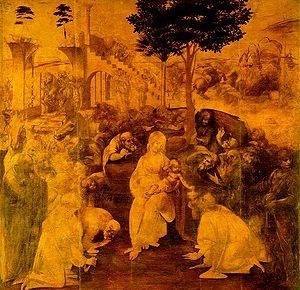 The Virgin of the Rocks was the first painting produced by Leonardo da Vinci after his arrival in Milan. He was commissioned to complete the work within a year but, as was often the case, he over-ran and so a lengthy law suit followed. The artist also had disagreements over payment of the work and this may be why he embarked on a second version to give to the commissioners, as he sold the first one elsewhere. 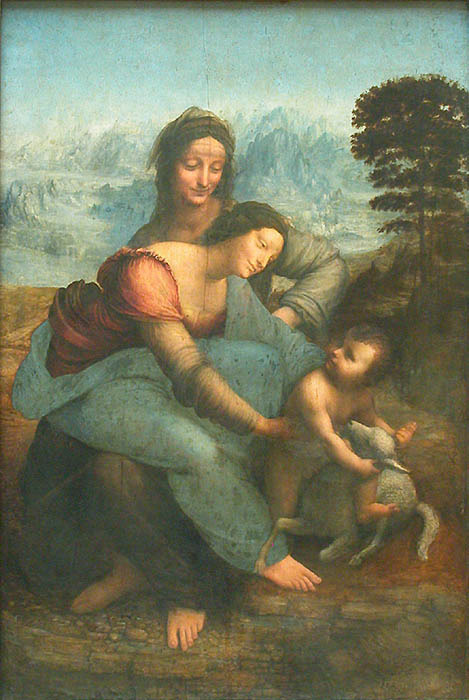 The first version of The Virgin of the Rocks hangs in the Louvre and will be the primary focus of the following discussion and analysis of Leonardo's work. The other version, thought to be the later work, can be found in the National Gallery in London. Critics have contested the authentication of each of these paintings at different points in time. It is known that the Louvre version was commissioned by the Brotherhood of the Immaculate Conception for a chapel in the church of San Francesco Grande in Milan in 1483. 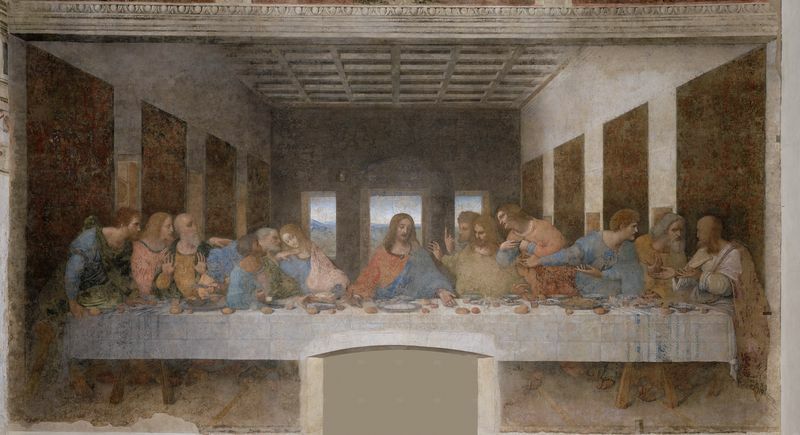 It was intended to be the central part of a polyptych (known as the S. Francesco Altarpiece) and Leonardo was given the task of working on the central panel, with fellow artists the de Predis brothers assisting him in other areas. However, the later version now in London, is known to have once hung in the chapel, and a number of documents suggest that the Louvre painting was never displayed there. It is understood that the Louvre work featured in the French royal collection from 1627, but several sources indicate that it was acquired much earlier. 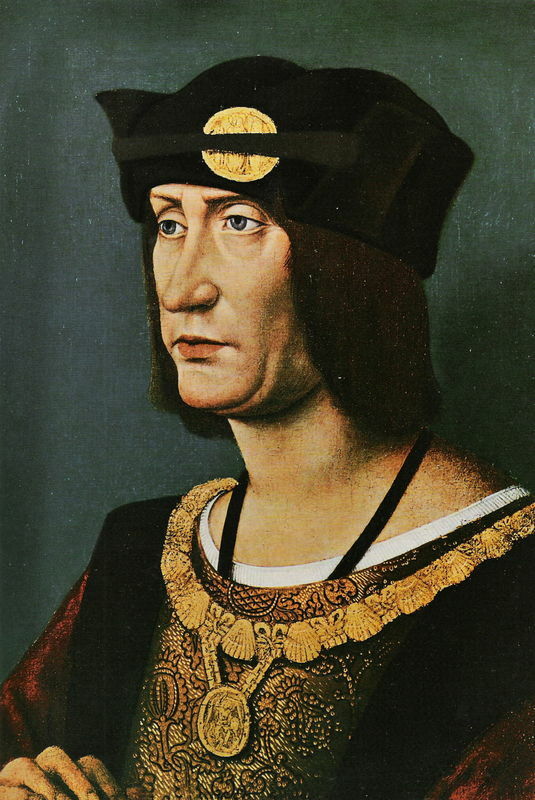 The most likely theory is that the painting now hanging in the Louvre, executed between 1483 and 1486, did not meet with the full approval of Leonardo's clients and this allowed Louis XII to acquire it in around 15001503. 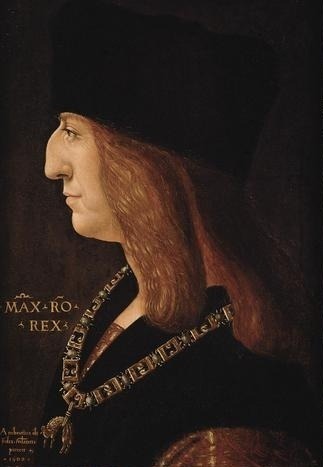 The second, replacement picture, now in London, could well have been created by Ambrogio de Predis under the watchful eye of Leonardo between 1495 and 1508. 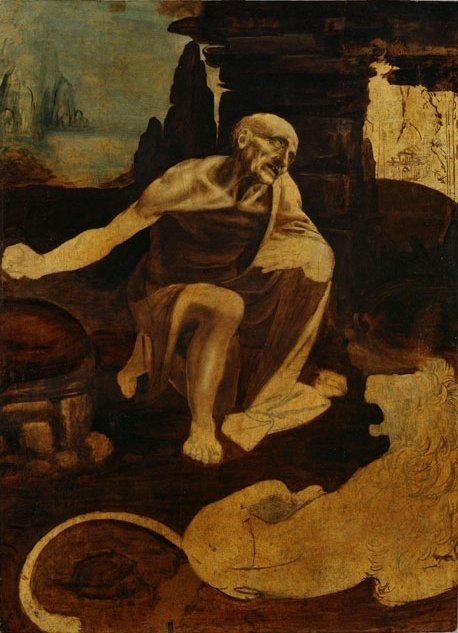 Moreover, the Louvre version is stylistically similar to Leonardo's other works from the 1480s whereas the London painting is more in keeping with his mature style. Art critics disagree on the exact meaning of The Virgin of the Rocks with some arguing that it shows the Immaculate Conception, while others believe it represents the moment the infant Christ met St John the Baptist. The first version of The Virgin of the Rocks has rather ambiguous iconography which has fuelled critical debate for centuries. The identity of the figures raises questions because of the absence of attributes and the supremacy of the infant Saint John, standing next to the Virgin Mary, indicated by the archangel Gabriel's pointing finger. The traditional desert depiction is supplanted by a supernatural rocky cave, water and plants. The Incarnation is eminent by the role of Mary and John, the latter of whom, in Florentine tradition, was one of Jesus' childhood friends and was already aware of his pending sacrifice for the human race. This indication of Christ's Passion seems to be echoed by the cliff edge that the Infant Jesus perches on and the surrounding vegetation. Leonardo's trusted pyramidal composition is ordered and therefore does not obstruct the movement of the figures, and their gestures and expressions are more intensified in the diffuse light which softens outlines without weakening their forms. Such natural poses and the overtly mineral landscape were radical compared to other works of the time. In The Virgin of the Rocks Leonardo has employed his favored "sfumato" technique, which became known as 'Leonardo's smoke'. It refers to his fine shading and subtle shifts from light to dark giving his paintings an illusionistic atmosphere. Leonardo paints the light in a way that adds structure and form to the image. Before Leonardo, artists had only used light primitively in their works. Both accounts of The Virgin of the Rocks were created on wood but the Louvre version was later transferred to canvas. 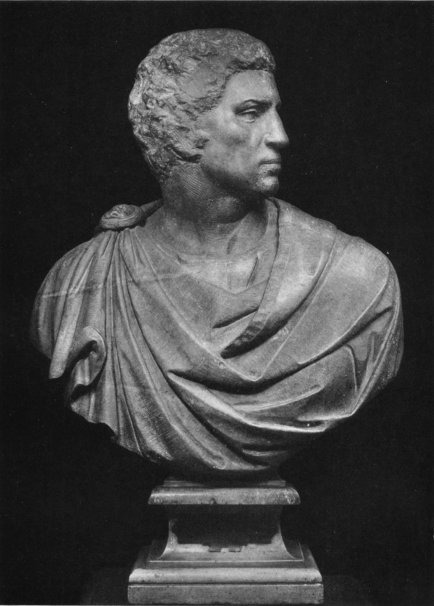 The second version of this work, hanging in the National Gallery in London. 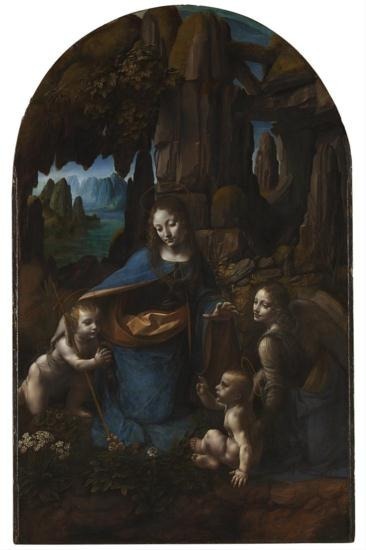 The Virgin of the Rocks bears stylistic similarities to works painted towards the end of Leonardo's stay in Florence such as Adoration of the Magi and St. Jerome in the Wilderness, and it develops their aesthetic concepts. One of Leonardo's masterpieces, The Virgin of the Rocks is regarded as one of the National Gallery's most precious paintings. Its uneven finish has always puzzled scholars and in 2005, when x-ray and infrared photography showed two very different under drawings, it emphasized the nature of Leonardo's works - mysterious and ever changing. A genius of the Italian Renaissance, da Vinci was a busy man with a curious mind and had he dedicated more time to completing his commissions, more of them would exist today. As it stands, only around fifteen of his paintings survive. Leonardo's mission was to find a universal language for painting and with perspective and other realistic elements, he aimed to design true renditions of life. This was extremely bold in a culture previously dominated by highly symbolic and strange religious artworks, and this call to objectivity became the standard for painters who followed in the 16th century.